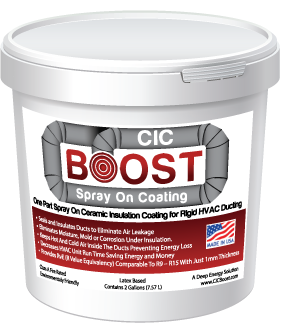 All 3 or Ceramic Insulation Coatings are quickly and easily applied with a commercial grade airless sprayer, a Flex Application Spray gun or a 1 quart aluminum sprayer or can be applied with a paint brush or roller. 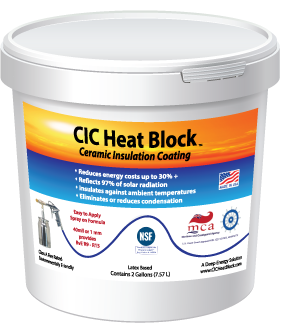 Recommended application of CIC Heat Block is two (2) 20 mil coats of product for a total of 40 mils. One gallon covers 25 sq feet for a 40 mil application. For high temperature equipment application thickness should be between 80 and 100 mils. For acoustic benefits using 30 to 40 mils is recommended. Click on one of the Sprayers for instructions specific to that method. 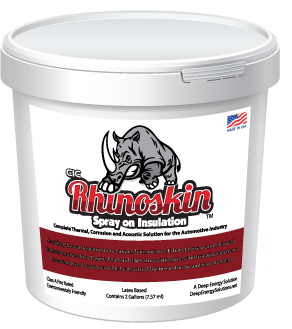 Recommended for Projects up to 150 square feet. Recommended for small Projects with areas of less than 75 sq ft. Excellent for touch ups, spot jobs and small pipes or tubes. Recommended for areas that a textured finish is desired.